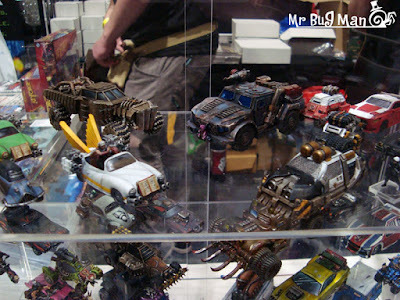 Salute's mornings are typically very busy with an avalanche of people trying to find the best deals, if you want to buy something popular make sure you do your plan before the event. 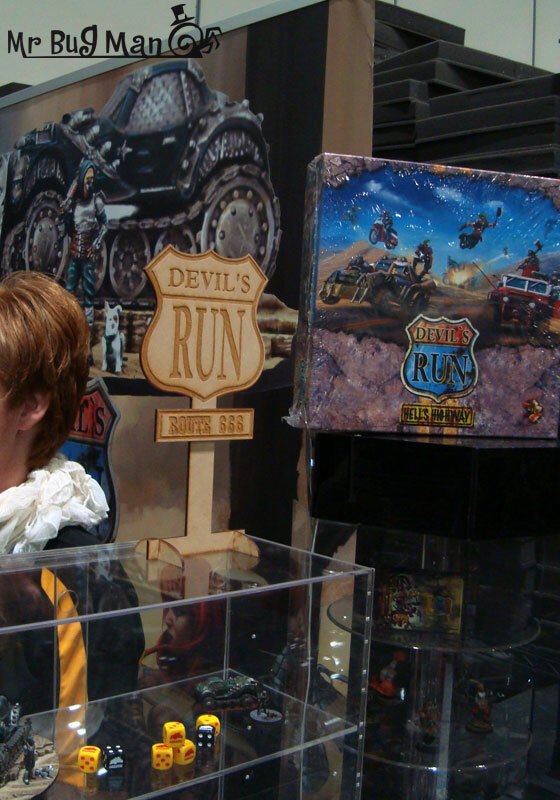 Check the trader stand number on the map and head there on arrival asap. Not as easy as it sounds because with hundreds of stands and thousands of new shiny miniatures on display its hard to keep focused. 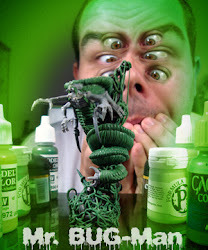 I kind of managed to do that and got some sweet deals and freebies, but more on that later. 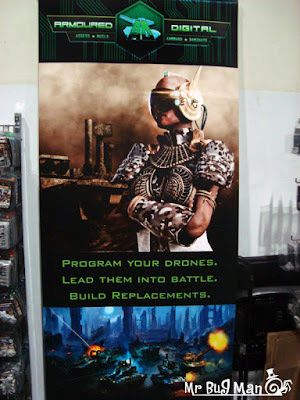 One of the stands that had like some of the best deals ever was Macrocosm. 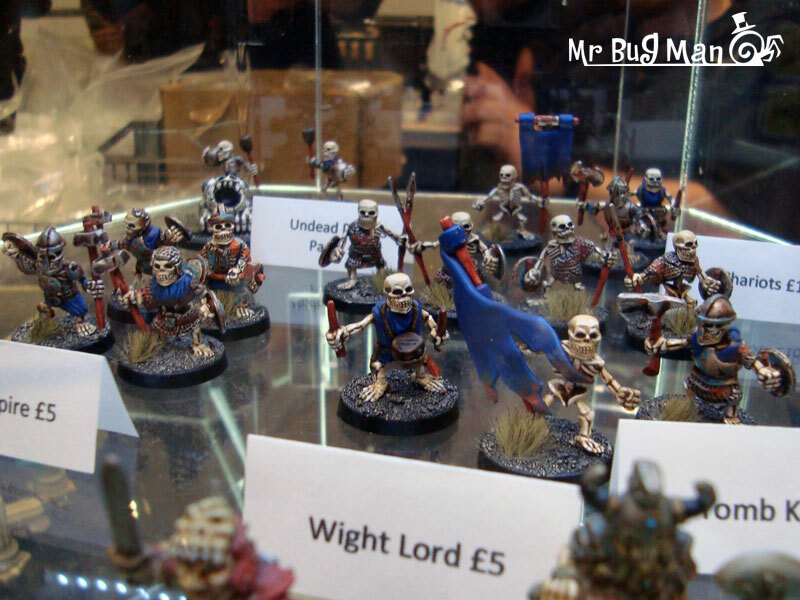 I read on Facebook that they had some grab bags with older ranges at heavy discount… I got a full war band of metal halflings that retails around between 30 and 40gbp for a fiver! 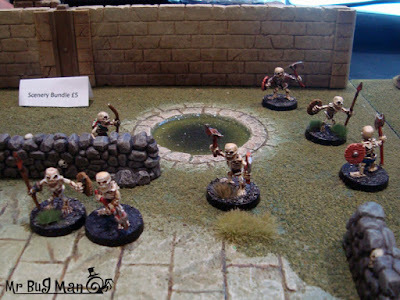 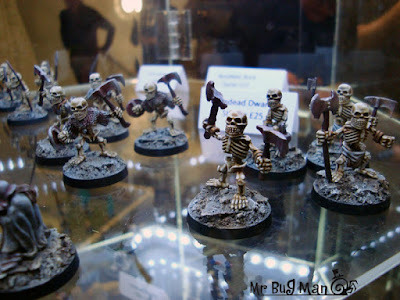 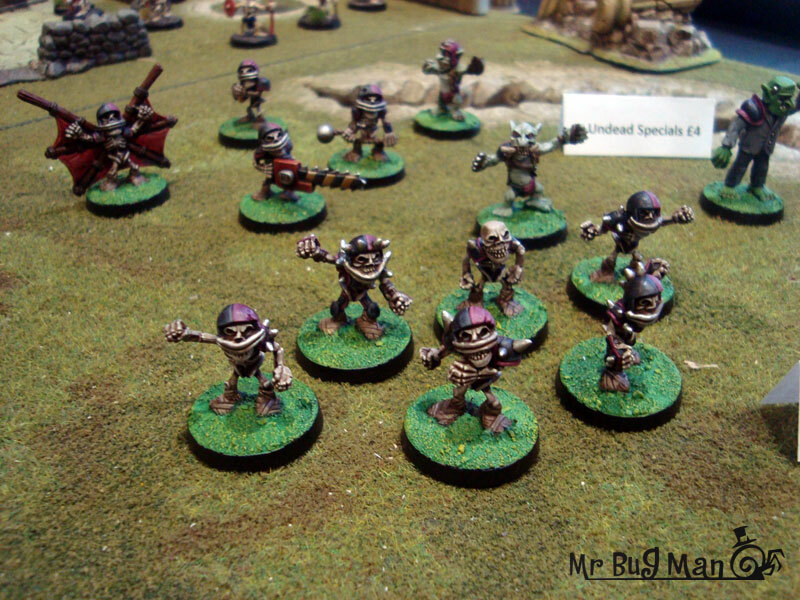 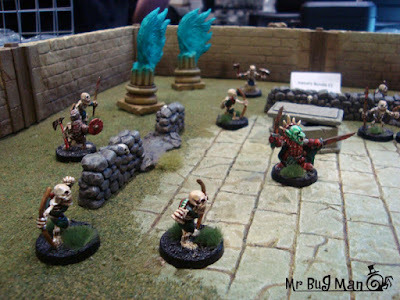 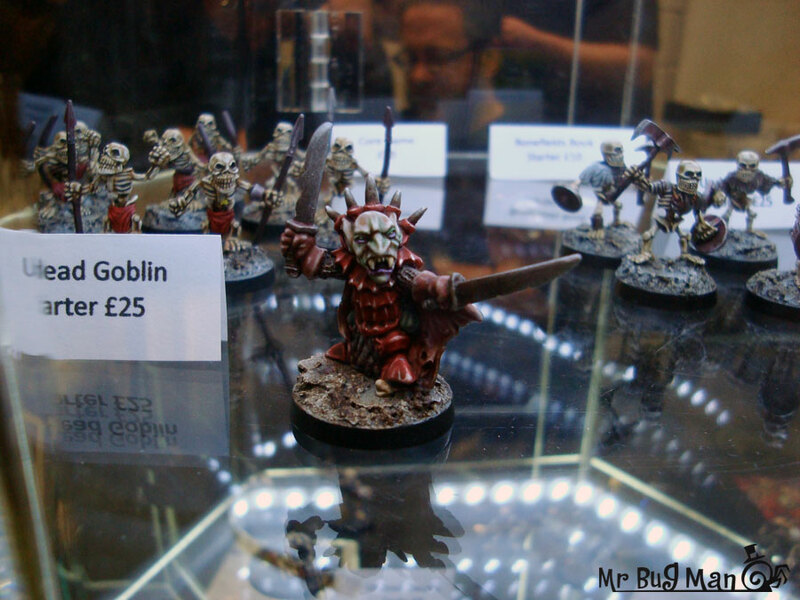 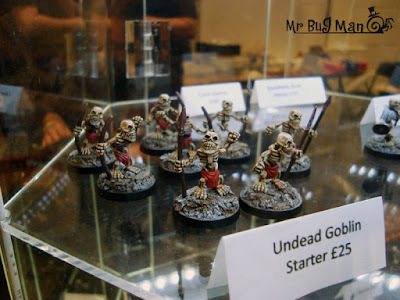 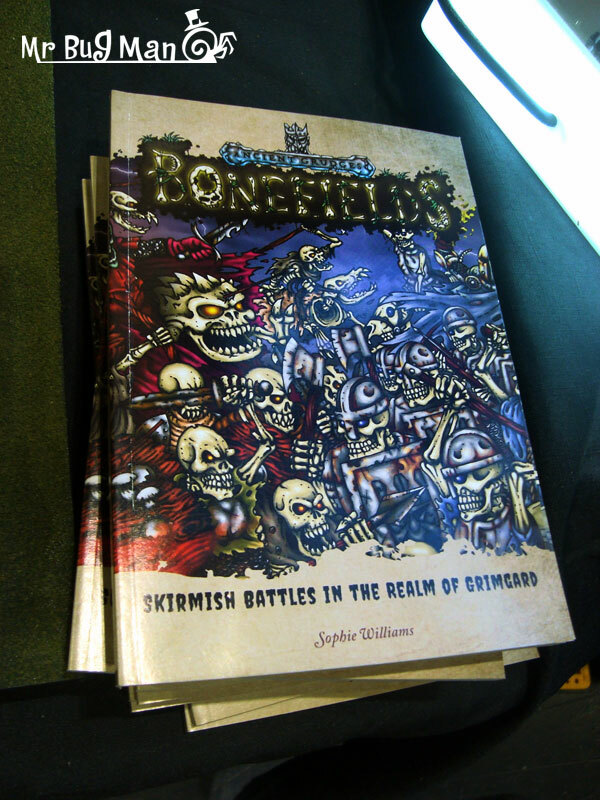 Macrocosm was showing their awesome game Bonefields, the idea of having undead dwarfs and goblins little skellies everywhere on the battlefield is a surprisingly fun concept and I almost pulled the trigger. 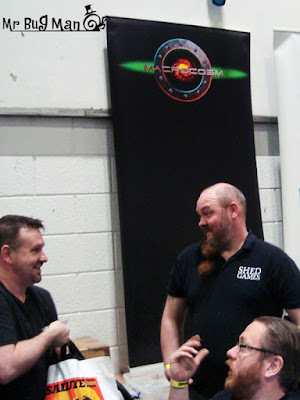 Kudos for the fellas on the stand they were some of the funniest and friendly around the show. 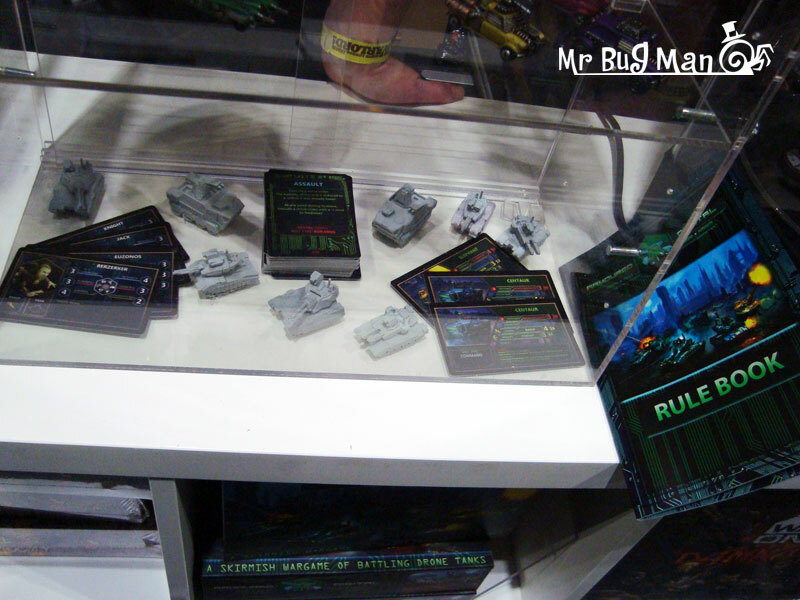 A small stand near the entrance had a couple games that do have potential. 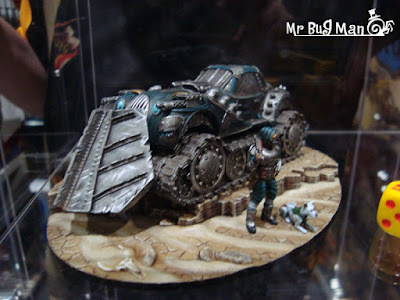 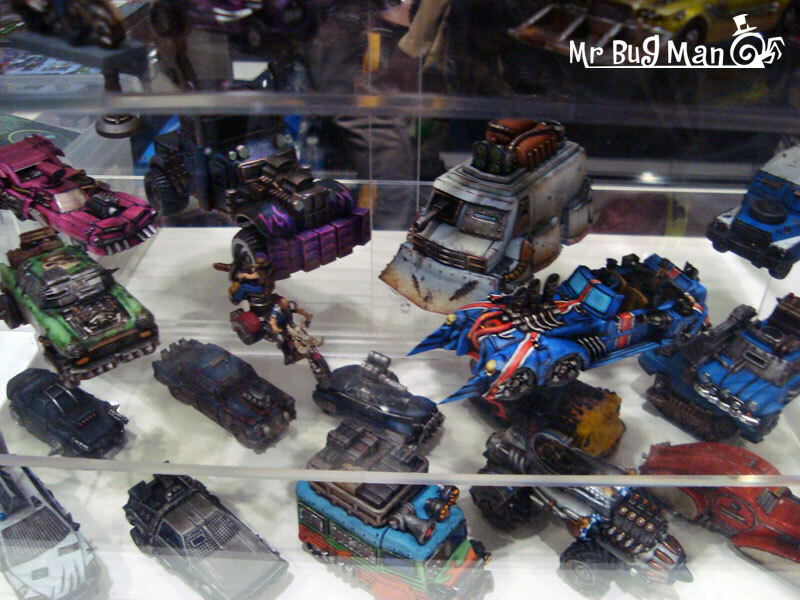 I have been covering DEVILS RUN for some Salutes now and this year they had plenty of post apoc cars. 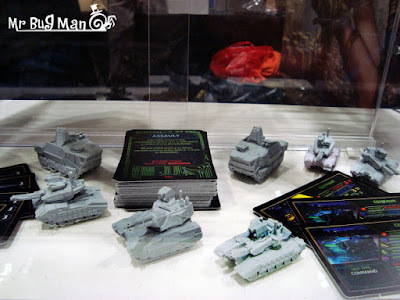 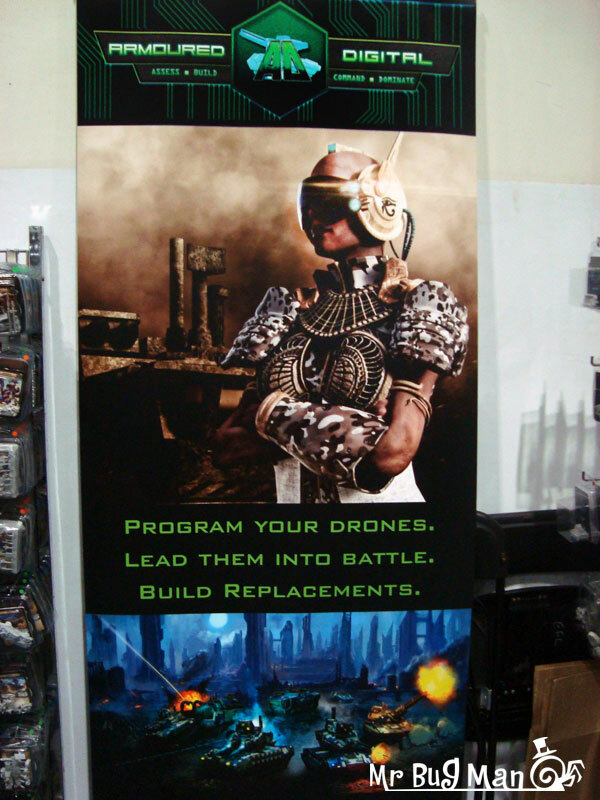 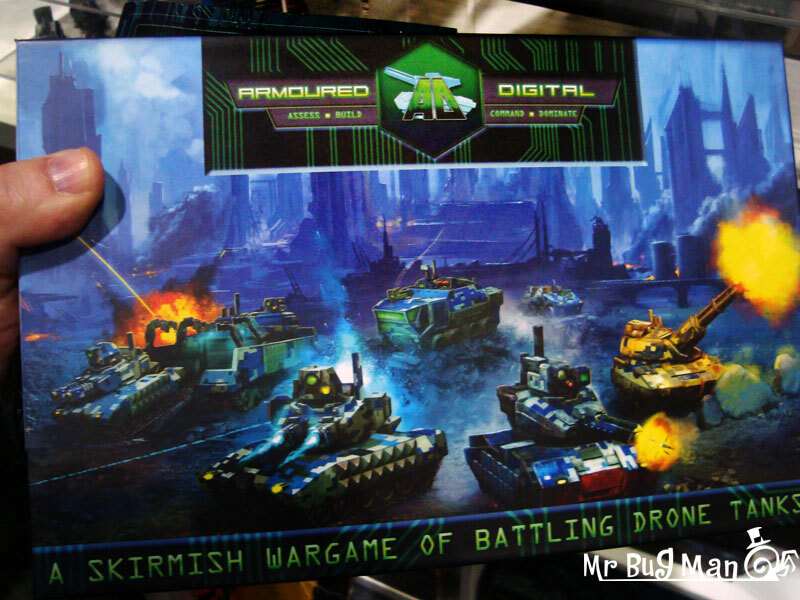 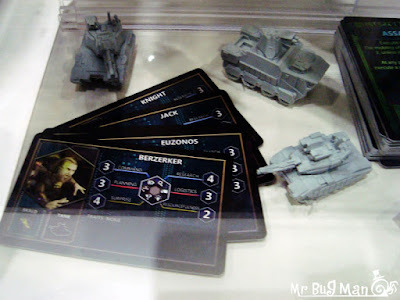 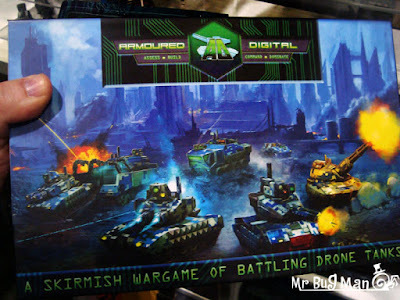 The new game was Armoured Digital, a drone skirmish combat set, the box set looked quite nice and I was lucky enough to have a free Rulebook, for sure I will check it out later on.